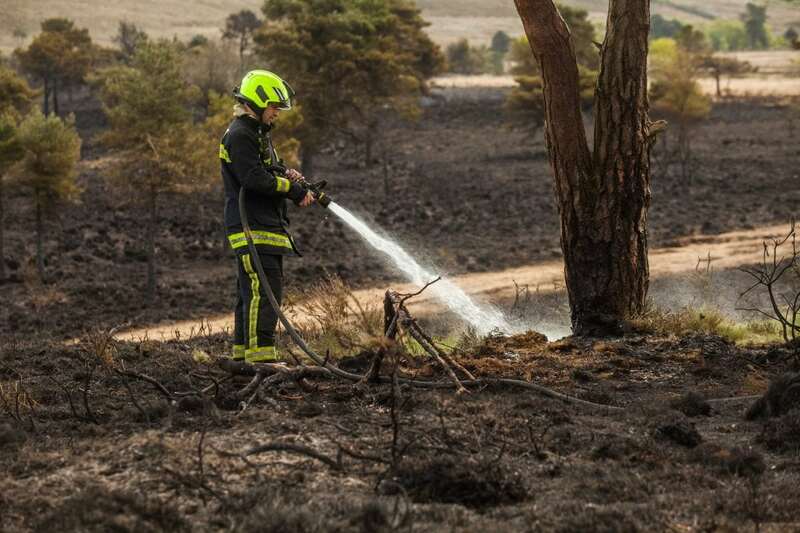 This dramatic footage shows a huge gorse fire that raged out of control for eight hours – injuring FIVE firefighters. 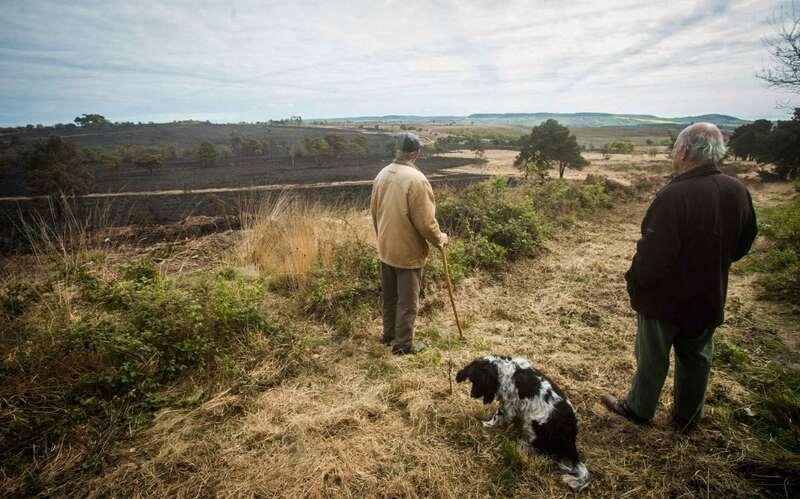 A huge swathe of the countryside has now been blackened following the blaze at Woodbury Common. which spread across 100 acres of heathland and could be seen for miles. More than 100 firefighters battled the fire which broke out at 2pm on Sunday. One had burns to his face and needed hospital treatment while four others suffered from smoke inhalation. Guests from the local Woodbury Park Hotel had to be evacuated as an area of 1.5 square miles was completely destroyed. It was eventually brought under control by 10pm, but emergency services remained at the scene until 8am today. Several roads across the common near Exeter, Devon, were closed and large plumes of smoke could be seen several miles away. 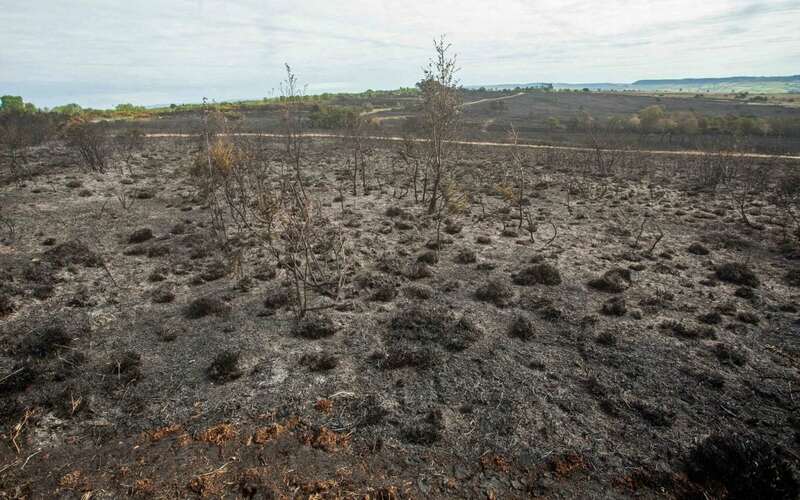 Speaking from the scene, Devon and Somerset Fire and Rescue Service’s chief fire officer Lee Howell said: “We’re not sure at this stage what the cause of the fire is but at the moment the focus is very much on reducing the impact on local communities and making sure everyone is safe. “Unfortunately we have had a number of our firefighters injured through smoke inhalation. One has been burnt and sadly has been taken to hospital for precautionary checks. “We hope that everything works out well for him. A total of 20 fire engines, four water carriers, two command units and a high volume pump attended the scene. Devon and Somerset Fire and Rescue said today(Mon): “We were there all night and the crew left at 8am today. “The retained and full-time Exmouth crews were rotating through the night. “An area of 1.5 miles square was 100 per cent damaged by 7pm last night. 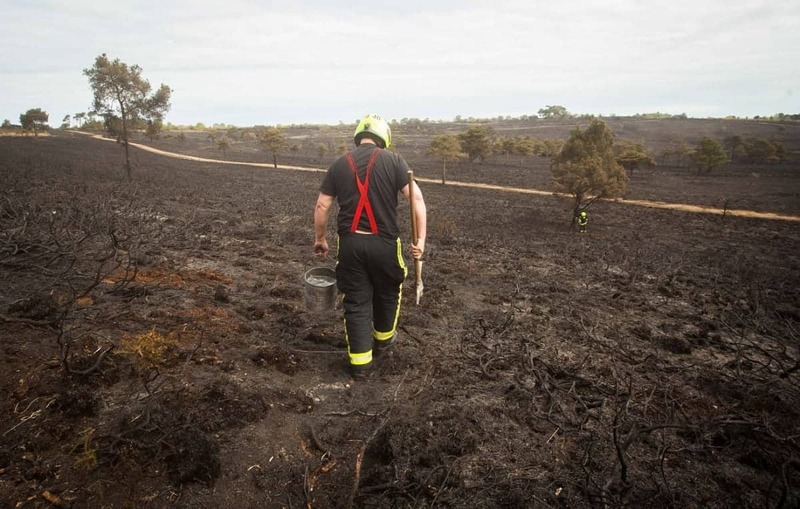 “The total might have been larger as they then found another developing fire front at that time and we sent another four fire engines at 10pm and they were there until 11.30pm.